Spending quality time as a family together can be so much more relaxing in this beautiful chair. I am so excited to join a great group of bloggers to bring this giveaway that will be a perfect accept in any home! 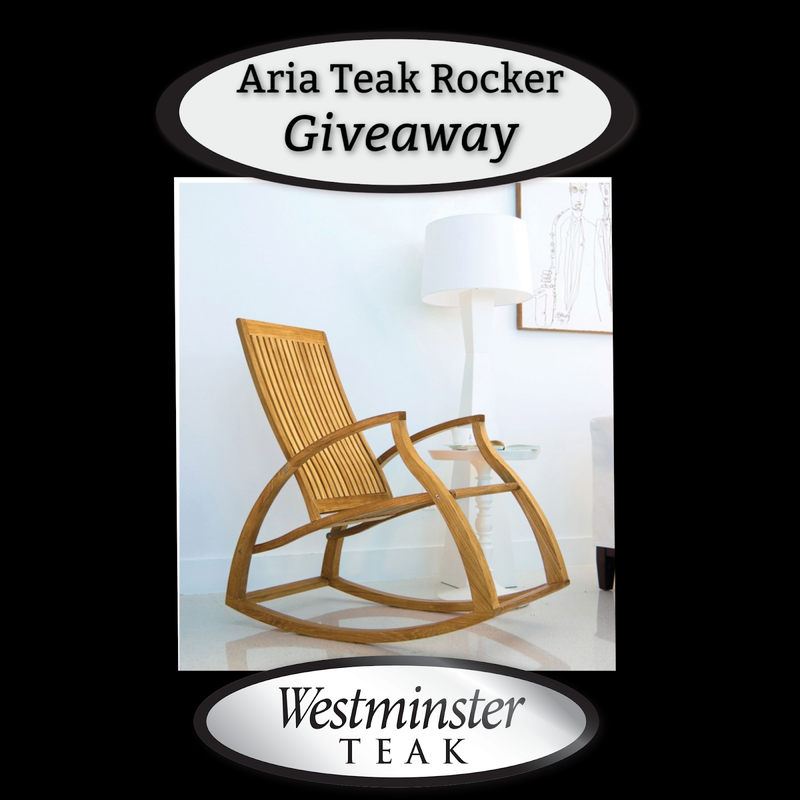 I want to win because I always wanted a beautiful rocking chair in my home this chair is beautiful and they style I just love it! I want to win this for my daughter-in-law and son for when they bring home their first born baby. They don't have a rocking chair yet to rock the baby in yet. I would love to win this beautiful piece of furniture so I can rock my grandkids to sleep.